I love these wildflower cards by Sophie of Loop Loop Crafts! I’ve always felt bad about throwing birthday cards and greetings cards in recycling and I have drawers full of old cards that I can’t bear to throw away, so I think the idea of enjoying a card and then being able to grow wildflowers from it, is absolutely brilliant! These beautiful cards are designed by Sophie in Brighton and made from 100% recycled materials which are embedded with 12 varieties of British perennial wildflowers and grass seed. 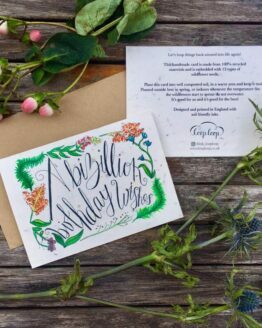 Once your loved one has enjoyed the lovely message you have sent them, they can plant the card afterwards and grow wildflowers! 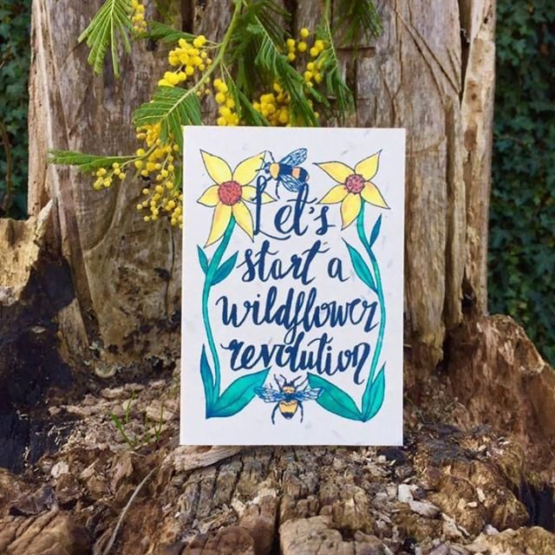 This lovely bright flower and bee design card has the words “Let’s Start a Wildflower Revolution” and it’s a gift that will keep on giving to both the recipient and to the bees too. It’s a great card to send someone just because, perhaps to just cheer them up or to let them know you’re thinking of them…to send to someone you know would love to be part of the revolution! I’m going to b sending this to a lot of friends to spread wildflowers as far as I can. Each image is drawn with black ink and painted with watercolours and then altered using photoshop to make bright illustrations. 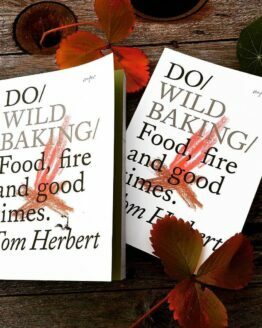 The cards are printed with edible inks so the inks don’t harm the soil once it’s planted. Full instructions are on the back of the card. I post out these cards free of charge. 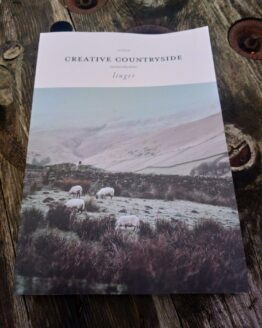 Comes with a brown recycled paper envelope. Sophie created Loop Loop Crafts in Brighton last year. She takes things that have lived a life and loops them back round to give them another one. Pre-loved things shapeshift to be loved again in their new form. 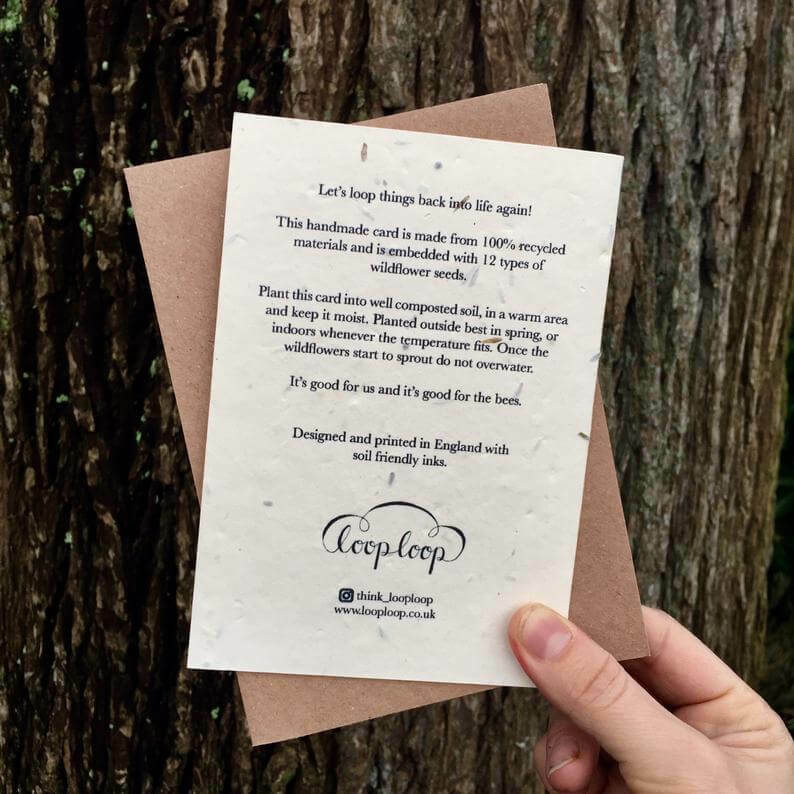 Recycled paper cards are embedded with wildflower seeds, so your loved ones can plant a mini wildflower meadow after they’ve received your message. Her bright and beautiful cards are hugely popular and a great fit for the These Two Hands collection.